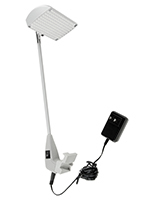 Halogen lighting is more affordable than an LED display. Traveling is easy with these lightweight accessories. 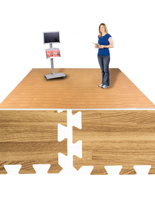 Adaptable clasp accommodates display backdrops of varying thicknesses. Display lighting is needed to highlight featured areas within an exhibit. These spotlights are available as a set of three units, providing complete coverage of a 10' tension banner graphic. 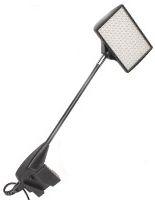 This clamp-on display lighting, also known as light fixtures, uses halogen bulbs to illuminate a presentation. 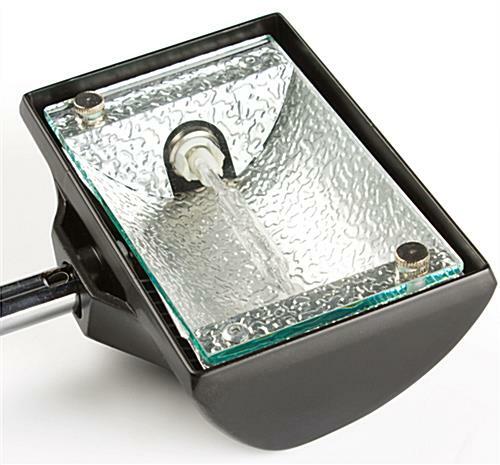 These trade show supplies are therefore less than half the price of LED spotlights. 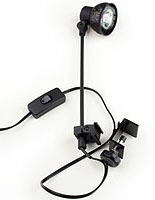 The display lighting with halogen bulbs is equipped with an adjustable clamp that securely attaches to a banner stand. 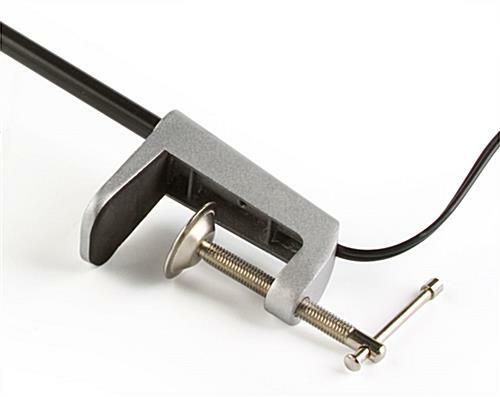 Simply slide each fixture over top of the graphic and rotate the lever to tighten the grip. 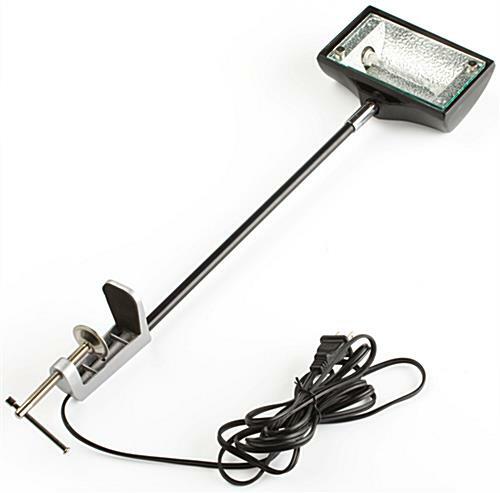 This display lighting that is sold as a set of three includes an 8-1/2-foot-long cable for each light. While there is no switch, the spotlights will instantly turn off when the plug is removed from a power source. 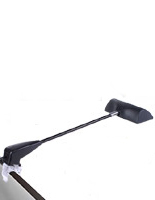 Display lighting that is attached to a banner stand improves the effectiveness of a presentation. Typically, exhibitions take place in crowded convention halls, requiring businesses to compete with each other for customers. Display lighting that is meant for use during a trade show blankets an exhibit with bright light, therefore making a booth more noticeable. 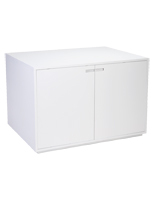 The wall washers are also small enough to transport to and from an event. 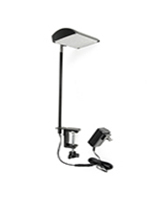 These portable lights are designed exclusively for use with the WavelineTM series of portable graphic walls and tabletop units; however, the adjusting fastener is capable of attaching to other trade show supplies and fixtures, including those with hook and loop receptive fabric. Please Note: Each unit will require its own outlet. Since you want your conference booth to be as visible as possible it's important to have the best lighting available. We recently needed to order new lights and these really did the trick. We were pleased with the lights, they were easy to attach and remove which is key in the fast paced setup/tear down process at a show. Oh we're so happy to hear this, Megan! Thanks for leaving such a nice review and we wish you continued success at your events! Great lights - did the trick and lit up our booth well! !